On our farm there are 4 apartments for the price of € 54, – per night of 2 persons (each additional person € 15, – to € 20, -). In addition, we can offer you 5 apartments at prices from € 86, – to € 98, – (2-4 persons, each additional person € 15, – to € 20, -). All rooms have been lovingly furnished with z.T. hand-painted rustic furniture and cozy sitting areas. For children there are bunk beds or bunk beds. 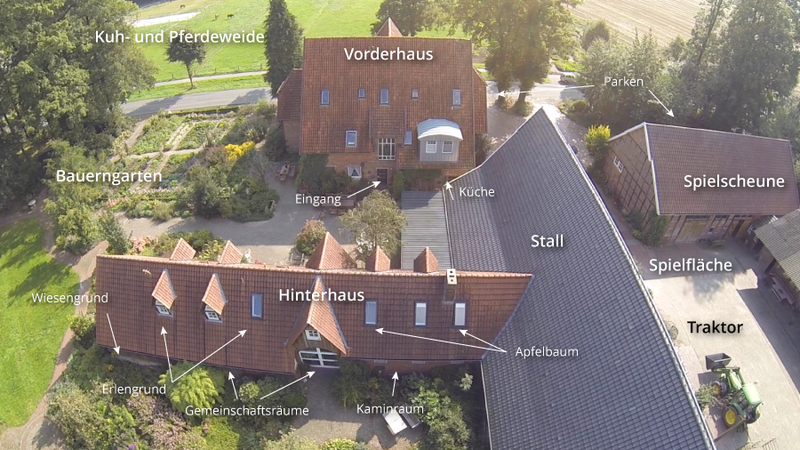 According to need with 1-3 beds, kitchen or kitchen, TV, shower / WC. Cots are available. The apartments can be booked together for groups (40 pers.) Or as a single room, double room or shared room. 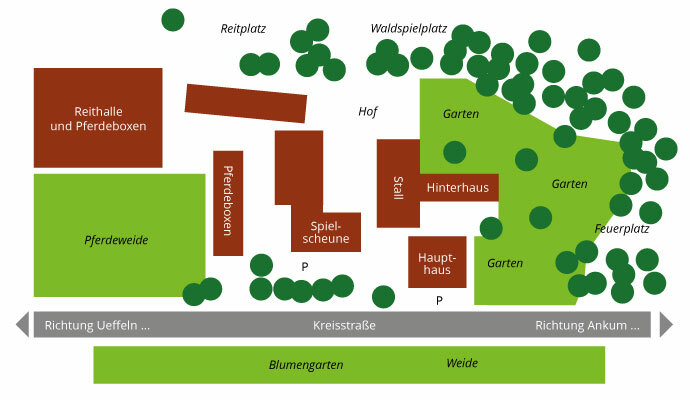 The apartments “Apfelbaum”, “Erdengrund” and “Wiesengrund”, as well as the large lounge and the fireplace room are located in the rear building (a former stable). All other rooms and apartments in the main house with separate entrance to the courtyard..